It is our pleasure to introduce you to Master Mechanic Rexdale. We hope that you can find all the information you need to familiarize yourself with who we are, what we do and how you can find us. We promise to do our utmost to deliver our professional service in a very personalized manner and we thank you for wanting to learn more about us. 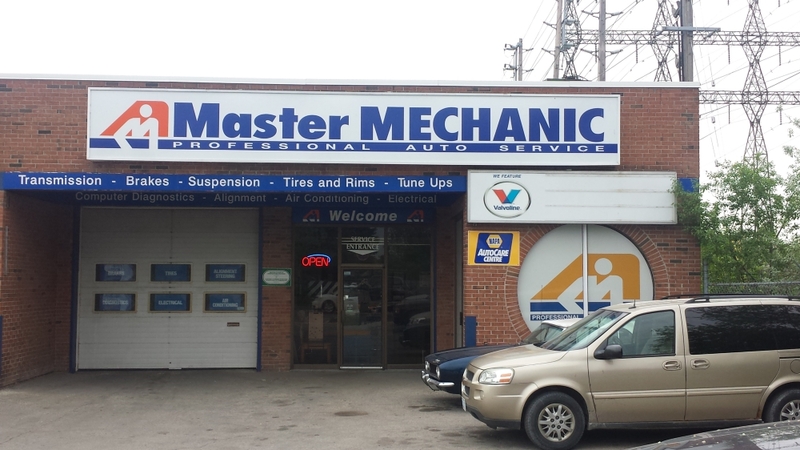 Our Master Mechanic Rexdale store is located on Finch Avenue between Damascus Drive and Westmore Drive. If you have any errands you need to do while waiting for your car there are many stores and restaurants around where you can wait. 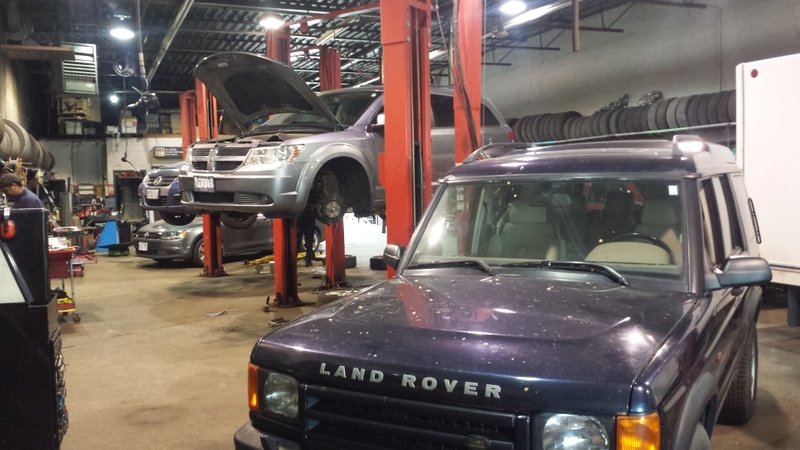 At Master Mechanic Rexdale our promise to you is to give you the best we can with the best price and no issues. We will take care of all our customers and their needs. 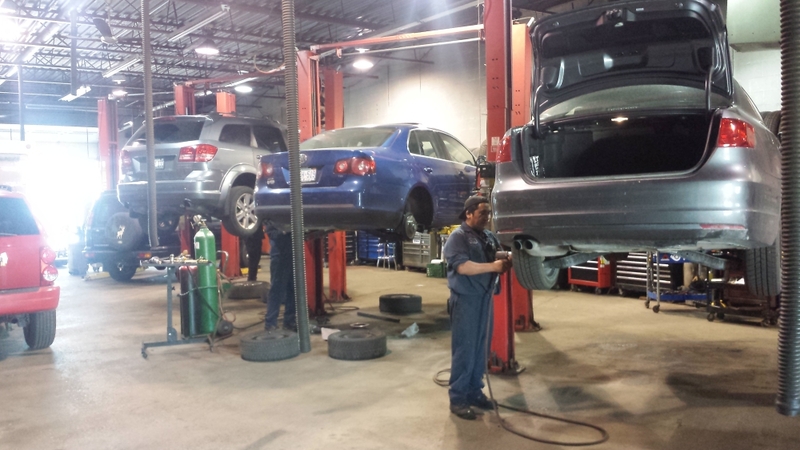 Our Master Mechanic Rexdale store is independently owned and operated which means that we are providing a personalized service to our customers. We strive to be the only auto repair and maintenance choice for each of our clients by creating long term relationships which have been earned through consistent delivery of outstanding service quality in an environment which promotes trust, fairness and respect. It is this dedication that differentiates us from our competitors as we continually strive to deliver an outstanding customer experience to each one of our satisfied customers. "Lisa E [...] They go the extra yard to explain what will be needed in the future and don't try to get you to fix anything unnecessarily. When the work was all done they said that if anything felt wrong or I had any issues that I should come back in when it was convenient [...]"
"Taylor Grisold Friendly honestly guys. Sit, talk and with you. Great atmosphere. Very flexible with options available regarding work need/offered & recommend." "Went there to replace my regular tires with winter tires and it was a cinch.Went there to replace my regular tires with winter tires and it was a cinch. Quick and easy Great service"
"Friendly honestly guys. Sit, talk and with you. Great atmosphere. Very flexible with options available regarding work need/offered & recommend. " "I am writing this note to express my complete satisfaction with the services received from Jerry where I regularly take my Infiniti G35 for repairs, maintenance and tires. I have been a customer of Jerry for several years now and have been pleased with the team of mechanics and the high quality of their workmanship. To further elaborate, every time I bring my car in to report a problem or just for regular maintenance, Jerry listens attentively to my issues and provides his assessment in a friendly, knowledgeable and professional manner, and keeps me informed on the status of work being doe so I can plan accordingly. All work conducted on my car to date has been done accurately on budget and on time. I appreciate that level of quality and dependable service, thus giving me a comfort level that my car is in good hands and its performance, safety and comfort level have been enhanced by the proficient work of his skilled mechanics. Consequently, I will continue to be a regular customer of Master Mechanic for years to come and will advise my family and friends to follow suit. Well done Jerry and team!" "I am pleased to take this opportunity to express my complete satisfaction with the excellent service provided to my husband and myself at your Rexdale location, operated by Jerry Compierchio. We have been customers for several years and have availed ourselves of the maintenance services as needed by our cars. I would like to commend Jerry and his staff on their professionalism, friendly manner and on how well they cope with the pressure of their trade. I especially appreciate Jerry taking the time to explain the problem(s) with my vehicle and the procedures taken to correct them. He has shown me great respect and always answers my questions regardless of how trivial they may be. I am confident in their ability to assess the problem(s) and attend to them properly. They always try to meet the required time for us to have our vehicles ready so that our obligations to work and other duties are always met. Jerry and his staff are great assets to the Master Mechanic franchise and we would not hesitate to recommend this location to family and friends. " "I just wanted to convey my appreciation for the excellent work and professionalism demonstrated by the staff at Rexdale. Jerry has always provided me with outstanding service coupled with his vast knowledge and experience in diagnosing all my vehicle concerns. Jerry’s top-rated technicians always look after my vehicle needs in a courteous and friendly manner, and always take the time to answer all my questions...and believe me I ask a lot of questions...Jerry, keep up the excellent service."